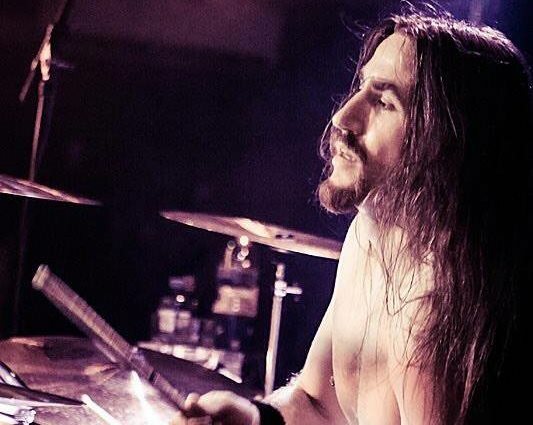 Acclaimed metal drummer Adam Sagan, who has played with CIRCLE II CIRCLE, WHITE EMPRESS, INTO ETERNITY and WITHERFALL and who has written for Drumhead magazine, has died after battling T-cell lymphoblastic lymphoma, a blood cancer. He was only 36 years old. Sagan's brother Nate confirmed Adam's passing in a Facebook post, writing: "I want to thank everyone who helped support Adam Sagan and our family during his battle with cancer. Today his epic and relentless fight is coming to an end. Nobody has ever touched more people than my brother and he will be missed, but certainly not forgotten. Thank you all for the love and support. Stay strong, Adam would have wanted it that way." WITHERFALL bandmate Joseph Michael wrote about his friend: "Adam and I had been communicating on a daily basis as we were preparing to release the WITHERFALL record. I hadn't heard from him in a few days, so I contacted a mutual friend. "I feel like I have been hit by a truck. All he wanted was to beat this scourge and get back to doing what he loved: playing music. "It fills me with dread to know he will not live to see this record released." Former NEVERMORE and TESTAMENT guitarist Steve Smyth also posted a heartfelt tribute to Sagan on Facebook, writing: "First time I met you was when I was out with NEVERMORE on the 'Enemies Of Reality' tour back in 2003 (though I'm convinced it was earlier than that!). Great dude you were then, and always will I remember you as! Two years later, we toured together on 'This Godless Tour', and got to hang a bit more on that one. Always a kind word, always a positive attitude, ready to help if you could. "The world has lost a good soul, I lost a good friend, and music has lost an awesome talent. "Rest in peace, until we meet again. My deepest condolences to your family and friends." CIRCLE II CIRCLE bassist/keyboardist Mitch Stewart wrote: "I sit here typing this with tears streaming down my face... My brother and bandmate Adam Sagan has lost his battle with cancer. "I met Adam a few years ago when he came into CIRCLE II CIRCLE. We hit it off right away. He was my roommate. He was my smoking buddy. My brother in rhythm. And one of the greatest people I have ever known. "I still cannot believe I am talking about him now in the past. "Adam Sagan, my brother and true friend, I will miss you dearly. We will all miss you. "This leaves a huge HUGE hole in my heart, brother. I hope you took it to heart when I told you I love you. I do and always will, man. May you rest in peace, and I'll see you on the other side." "I can't believe this is happening. "I'm gonna miss this guy..."
INTO ETERNITY wrote: "With heavy hearts, we say farewell to our longtime friend and bandmate Adam Sagan. We have lost another brother to the scourge of cancer. "Adam was far too young but brave beyond his years. "We will miss you, Adam, and we will never forget the countless stages we shared and miles we traveled. Our hearts go out to your brothers and to your family. May you finally have found peace." Adam's family is welcoming donations to help defray his final expenses at GoFundMe.com.